Ticking the Bucketlist » Monday Musings: Climbing High! We just got back from work – another Monday. We need something to bring out the fighting spirit in us – Monday has drained us! What can do it better than looking at a picture of one of the big cats? Through Monday Musings, we share a picture with you – landscapes, buildings, animals, bounties of Nature to help you find your inspiration to travel! Big Five is a hype, which constantly plays on your mind when you venture out for safaris in Africa and you don’t feel the experience complete unless you sight all of these. Typically, you are able to spot lions, elephants and buffalo in your first safari but for rhino and leopard, you have to make an attempt. 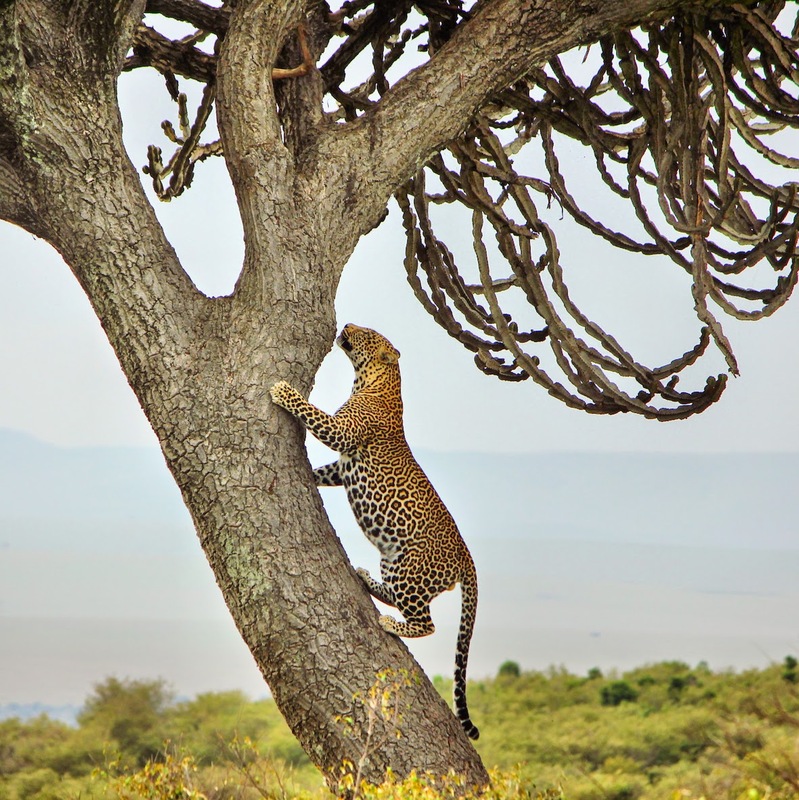 We were ecstatic to spot a full belly leopard climbing back to the top of a tree to eat a carcass. Leopard is known to be the only animal that can feast on rotten carcasses for weeks.